Vancouver, B.C – Chinese horoscopes for the “Year of the Rooster” forecast a year of happiness, colour and drama. To celebrate, and in line with Cathay Pacific’s philosophy of a “Life Well Travelled”, the airline is giving customers the opportunity to explore their senses and book a trip of a lifetime. 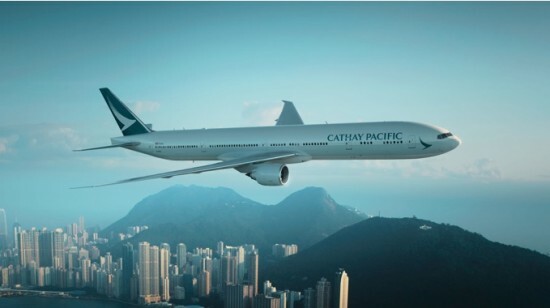 From now until 22 January 2017, Cathay Pacific is offering savings up to 19% off Economy Class fares and up to 22% off Premium Economy Class fares to select cities in Asia, China, and South Pacific, including Auckland and 6 destinations in Australia. All flights operate via the airline’s award-winning hub, Hong Kong. These “Year of the Rooster” special fares are a limited-time offer and available for purchase from now until 22 January 2017 for flight departures between 06 February to 12 June and 15 August to 30 November 2017, inclusive. Departures from other Canadian cities are available at an additional fee – including Cathay Pacific code-share flights operated by WestJet and, effective from January 12th, 2017, Cathay Pacific code-share flights operated by Air Canada – that connect with Cathay Pacific flights at Toronto or Vancouver to/from Hong Kong & our network beyond. Above pricing includes taxes and surcharges, exact amount will be quoted once flights and dates are selected. Fares shown are for Monday to Thursday departures and are subject to change. To sweeten the “Year of the Rooster” fare celebration, customers booking via www.cathaypacific.com/ca will receive a complimentary plush rooster toy, while supplies last. To make the trip even more rewarding, travellers can earn Asia Miles which translate to future flights, upgrades and other lifestyle awards.